X-TEND Stainless steel mesh is light, robust, and transparent. High-quality stainless steel cables and pressed ferrules are used for the production of the mesh and connected to a load-bearing and flexible structure. The curvature in the opposite direction of the stainless steel cables creates the exceptionally robust characteristics of X-TEND - the mesh can even stand up to heavy loads. The stainless steel X-TEND mesh design succeeded in achieving a structural element which is simultaneously securing as well as a design element. The application areas of X-TEND are accordingly versatile: the mesh is used as transparent barriers in zoo facilities and building constructions. They impress with their decorative design as railing filling or free-standing elements. On building walls and façades they are ideal vertical plant training aids and can be used for green wall systems. X-TEND stainless steel mesh is manufactured specific to order. The product always does justice to the individual requirements. An endless production of X-TEND is possible - hence also the name X-TEND = "to extend". In cross direction, the individual mesh widths can be joined to each other in unlimited ways, without impairing the stability of the mesh. 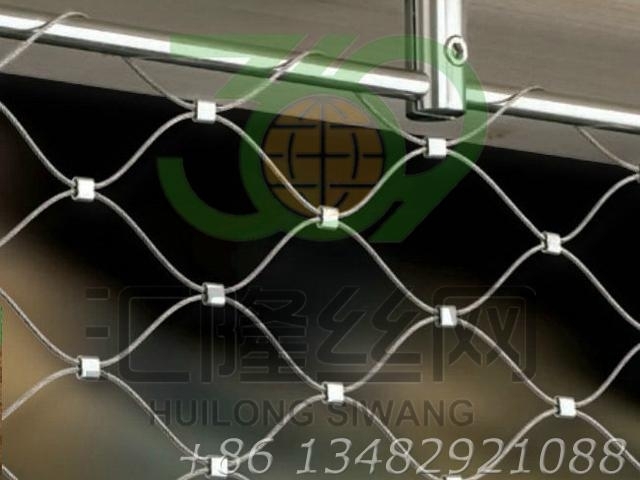 The stainless steel mesh is manufactured in the standard diameters 1 mm, 1.5 mm, 2 mm, 3 mm and 4 mm. Mesh width of 25 to 200 mm (or greater) are possible depending on cable diameter. X-TEND is manufactured from high-grade stainless steel cables of material class 1.4401. The experts will gladly support you in your project planning. We advise on the statics of demanding concepts and take over the assembly of the stainless steel mesh.